I had some fun in a story previewing Dr. Peter Mack‘s Oct. 22 performance with the Bremerton Symphony Orchestra, as the Seattle-based pianist recalled his only previous performance in Bremerton. Mack recalled playing for a concert celebrating what he remembered was the 75th anniversary of what we know now as Naval Base Bremerton, and hearing a piece that contained a Morse coded message composed right into one of its rhythms and played by solo oboe. It didn’t take long for the piece’s composer and another former BSO musician to check in with the actuals of the situation. The concert was to celebrate the Bremerton centennial, according to trombonist and composer Jim Brush, who was commissioned by the symphony and the city to write a commemorative orchestral work. Pat Bailey, a percussionist with the symphony at the time, and was known to Brush as a radioman from his Navy days. He used a synthesizer keyboard to tap out the coded message “Bremerton 100,” and Brush incorporated it, played by solo oboe, in the piece. The eight-minute work, Brush wrote, “consisted of original melodies and celebratory (fanfarish) sections, sometimes intertwined with short musical mentions of “Anchors Aweigh,” “The Navy Hymn” and the “Marines Hymn.” He added that the music also was informed by the fight songs from East and West Bremerton high schools and Olympic College. The idea for the Morse code message, he said, came from Richard Rodgers’ “Victory at Sea” televisions series, orchestrated by Robert Russell Bennett. An oboe also imitated the code sound in that music. “He (Brush) didn’t realize the difficulty in writing good Morse Code in rhythm,” wrote Bailey. Brush taught instrumental music in Bremerton for more than 30 years, from elementary school to community college level, prior to his retirement. He and his wife, Judie, live in Las Vegas — where, coincidentally, Bailey was born. Bailey joined the symphony while stationed aboard the USS Kitty Hawk in 1964 (after seeing an audition notice in the Bremerton Sun), and rejoined several years later moving back to Kitsap with his wife. He played until the mid-1990s, and worked at the Puget Sound Naval Shipyard until retiring in 2007. He now volunteers at Esquire Hills Elementary School. 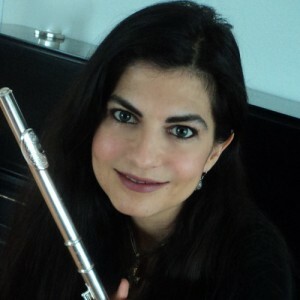 Principal flutist Deliana Broussard will step to the front of the stage for the Bremerton Symphony Orchestra‘s March 13 concert to play Mozart’s D Major flute concerto. The Mozart concerto is a change from the program originally scheduled by the symphony. It replaces a Paganini violin concerto. Music director pointed out that the change is an opportunity to put Broussard into a featured role. The concert is at 7:30 p.m. at the Bremerton Performing Arts Center, 1500 13th St., with a pre-concert chat at 6:30 p.m. led by Futterman. Ticket prices range from $26-$8.